Manchester United have struggled to convince in all their pre-season matches so far as Mourinho continues to fine-tune the squad ahead of the new Season. However in the 1-1 draw against AC Milan yesterday, one player stood out with his performance. Chilean forward Alexis Sanchez has had to battle with all sort of criticism since his move from Arsenal in January but looked a threat all night. 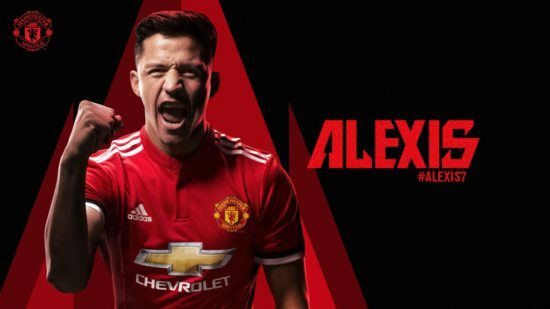 Playing in the centre forward position, Sanchez’ movement, intelligent runs and finishing was on display as he marked his all round performance with the opening goal of the game. He also showed the hardworking aspect of his game by closing down the opposition. It seems the benefit of resting this summer – due to Chile’s failure to qualify for the world cup- has done the forward a whole lot of good. United fans predictably purred over his performance on various social media platforms, notably Twitter as they hailed his performance in the game. Here are some of the best tweets. United fans would be hopeful that he continues in similar vein into the season as they seek to win the Premier League for the first time in 6 years.